Ok, let's talk rub. Yes, I know that most people will have to take your head upon divulging the secrets of their master rub onto your ears, but I'm here to state a proclamation, you don't need them or their rub. 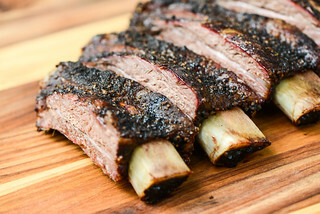 What I've found after cooking a lot of barbecue at home is that, while the rub is extremely important, there's too much fussing over a little bit of secret spice that ends up being almost indiscernible in the end, unless you're tasting 2 different ribs, with 2 different rubs, at the same time. So stop sweating the small things in the rub and start thinking of the bigger picture if you really want your barbecue to shine. I'm in no way taking any importance away from the rub, I'm actually professing the opposite, that the rub is so important that you want to make sure you have the best ingredients as a foundation, and this, I think, makes all the difference. Let's start with a spice grinder. If you don't have one, I implore you to finish reading this paragraph, go out and buy one, and then come back to finish. In the retail market world you might have a hard time finding a "spice grinder," since they tend to be branded as "coffee grinders," but seeing as I don't drink coffee, I have no use for that tool, so it's just a spice grinder to me (word of caution: do not use the same grinder for spices and coffee). 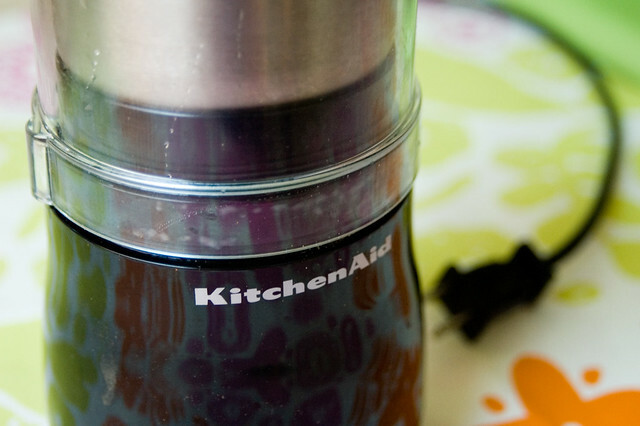 I cannot recommend the Kitchen Aid model enough. It has everything you need in a spice grinder: large detachable bowl, powerful motor, and it comes in names like "Onyx Black" and "Empire Red." You have your spice grinder now? Good, I can continue. One of the staples in a rub is chili powder, and I find the biggest benefit in making my own over any other ingredient. If you're buying the preground chili powder found in the spice aisle, you're just throwing your hard earned cash away. That stuff is dull and old, having little taste of the chiles I've come to know and love. Getting around this is easy, just start with buying whole, dried chiles and skip the powder. 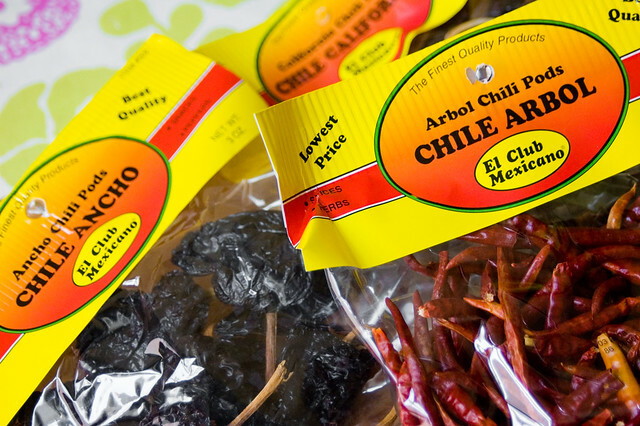 I use a mix of 3 different types of chiles; the mild red New Mexicans or Californians, the slightly sweet ancho, and some of those little arbols for heat. 3 bags of chiles costs me around $5, and makes much, much more chili powder than what comes in those pricey little spice shakers...just in case I haven't convinced you yet. Now it's time to make the most of those chiles. To do this, you have to roast them to bring out as much flavor as possible. I accomplish this by throwing the chiles on a baking sheet and into a 350 degree oven. 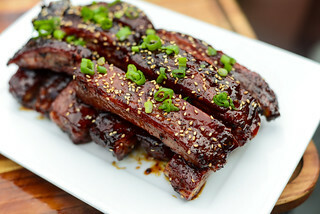 You have to watch them closely, as they'll all be ready at different times and you really don't want to burn them, otherwise your chili powder, rub, and barbecue will all have that burnt flavor. The arbols are done first and quick, just a minute or two, followed by the New Mexicans, around 5 minutes (these tend the burn the fastest). The anchos take the longest and usually puff up when done, easily telling you they're ready. Even though I've given times, it's still best to go by your nose. There's a point where the fragrance of the peppers are the strongest (and boy do they make your kitchen smell great), which is also right before they start to burn, but you'll recognize the smell after doing this a few times. After the chiles are done roasting, let them sit until they cool down and harden up. They'll grind best if the skin just cracks, instead of tears, when you start to rip them apart. You want to start by ripping off the top and emptying out the seeds inside. Then, over the nice, large grinder bowl, you can just crack the chiles in your fist. It helps to do this part while wearing gloves...I've done this one too many times bare handed, always leading to scorching eyes later in the day. I keep adding the chiles into the grinder one or two at time, then grind until they're a fine powder. So now we have a bowl of pure chile gold. This mixture is great for making soups and sauces, but we're making barbecue, and although this is technically chili powder, it's not the chili powder that you'll find in most recipes out there. That chili powder refers to what you'd get in the store, which mixes in some other flavors, mostly cumin and garlic along with a bit of oregano. 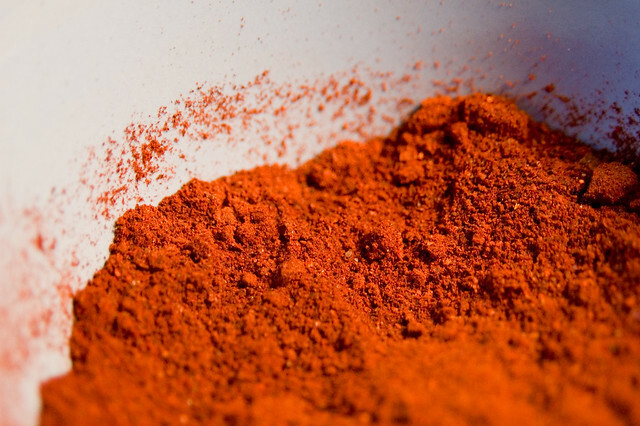 So our pure chili powder has to be tainted a bit, but it's all in the name of great barbecue. Cumin is the other ingredient I will never buy preground. It's not that the store bought cumin isn't good, it's way more passable than chili powder, but toasting cumin gives it a bolder flavor that can't be bought. So I buy cumin seeds, roast them in a cast iron skillet over medium heat until fragrant, and then into the spice grinder. To finish the chili powder, just add in the cumin, garlic powder, oregano, and some paprika. Now you have a chili powder that requires little of your time (about 20 min), is cheaper, and far superior than anything that you'll find in a store. Armed with this, I assure you that your rubs will take on a richer, more impressive flavor. 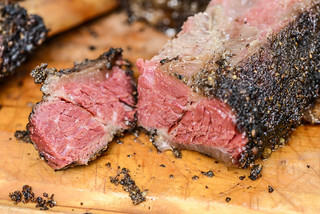 So when cooking at home, I say forget trying to acquire some super secret recipe and stop messing with a little of this and that for a minute and give the base of your rub the attention it deserves, your efforts will be well rewarded. For the money, Magic Dust is one of the best all-purposed rubs you can make, and it gets even better if you take the time to make your own flavorful chili powder. Chili Powder recipe from Alton Brown. Magic Dust recipe from Peace, Love, and Barbecue. To make the chili powder Place chiles on a baking sheet and into a 350 degree oven. When fragrant, remove chiles and allow to cool. 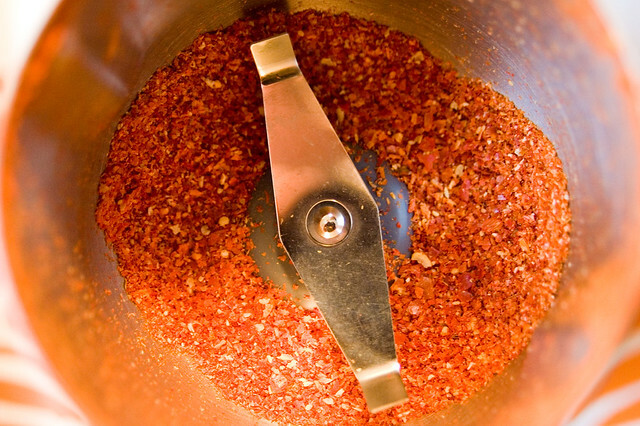 Seed chiles and break into small pieces into the bowl of a spice grinder. 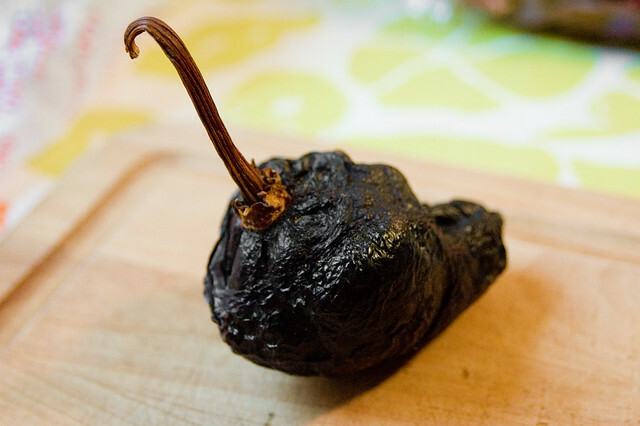 Grind chiles into a fine powder and move into an airtight container. 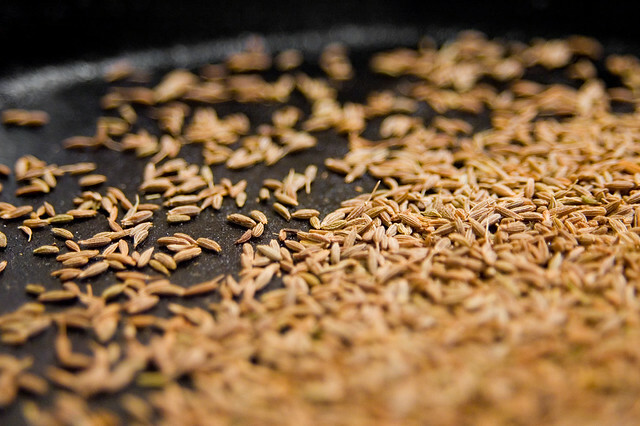 Place cumin seeds in a cast iron skillet over medium heat. Toast until fragrant, and then pour into the bowl of a spice grinder. 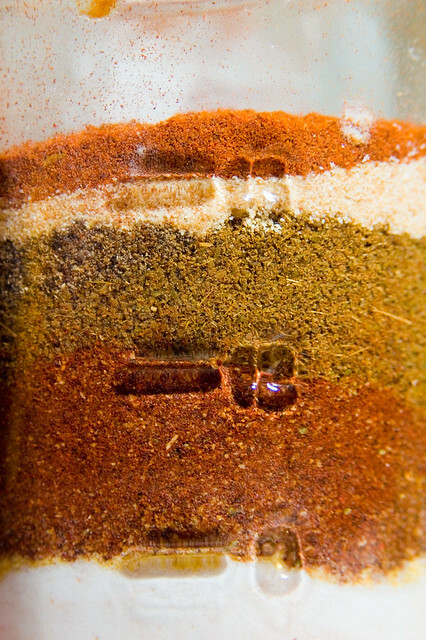 Grind cumin into a fine powder and move into the container with the chili powder. Add the garlic powder, oregano, and paprika with the chili powder and gralic, cover, and shake to combine. Store for up to 6 months. To make the Magic Dust: Mix all ingredients together in a medium bowl. Transfer to an airtight container for storage. That be a nice rub mate. I'm grillen 15kg of pork shorts this weekend. Smoked it with maple for 6 hours first and can't wait to dig in. I was reading your other post - 14lbs of pork heaven and followed your favorite rub here. Your magic dusts sounds magical. I could use a bit of pork magic. Where do you buy your spices, and chili's? They seem to run pretty steep at the grocery store. @Paul I pick up my spices in the larger bulk packages, either at the grocery or other specialty stores. When possible, I try to buy spices whole and grind them just when I need them. This keeps costs down and helps ensure they stay pretty fresh. Are you still posting to this site? "but I'm hear to state a proclamation"
"but I'm here to state a proclamation"
@Steve Greyson Thanks for pointing that out, it's fixed. You mention that one of the staples in a rub is chile powder. Then you tell us how to make chile powder and magic powder but call the magic dust a rub. I don't see any chile powder in the magic dust. Do I combine them or are they two separate rubs. Thanks - I'm looking forward to making both and wanted to make sure I understood you. Thanks - I see the chile powder in the list of ingredients for the magic dust. @Avi You make the chili powder first, then 1/4 cup of it is used to make the Magic Dust. The rest of the chili powder you reserver for any other uses you have (it's better than what you'll buy in the store). I'm attempting to use a variant of this recipe, but with Chipotle peppers instead because that's all I have at the moment. I dried them out and then realized that I probably have a different amount of raw powder than you would, which means that the measurements for the other ingredients will also be different if I want to keep the same ratios. Do yoy have any idea how much raw chili powder, by volume, the 9 chilis make?